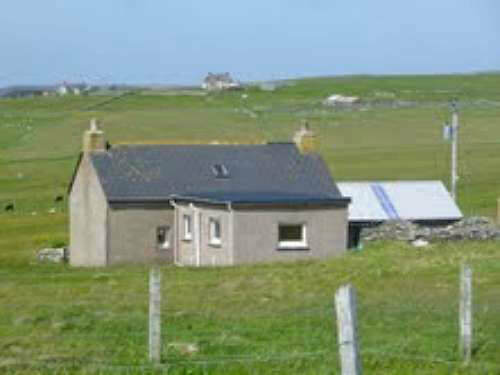 There are various self catering options available on Unst! 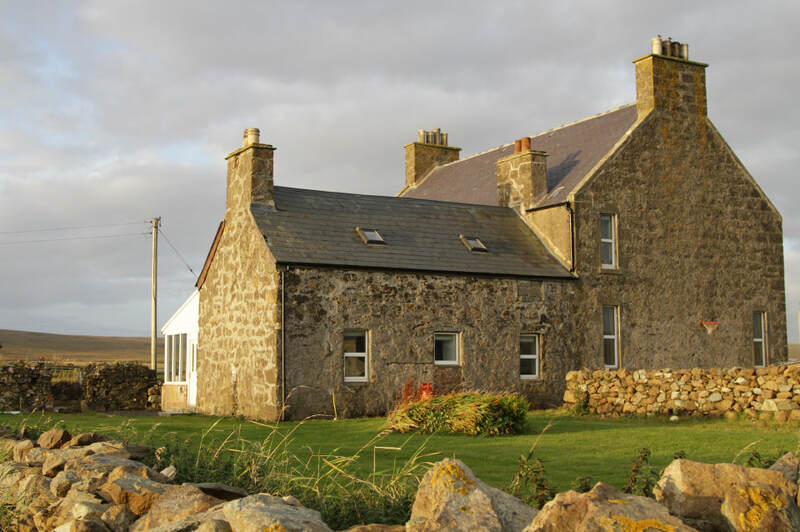 The Creek is a self-catering croft house situated in Haroldswick. 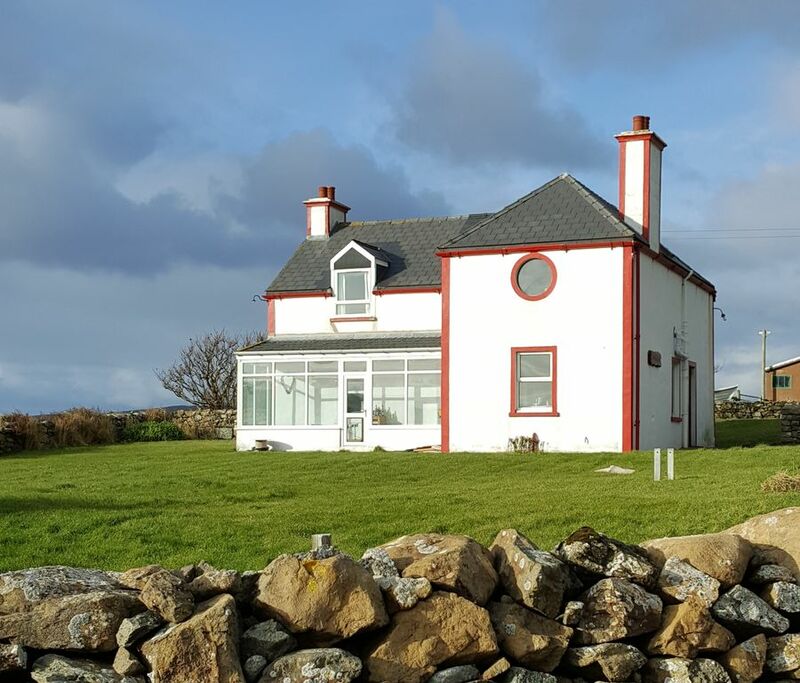 The house overlooks the sea at Haroldswick Bay with superb views, and is approximately half a mile from the pebble beach with abundant birdlife, otters and seals. 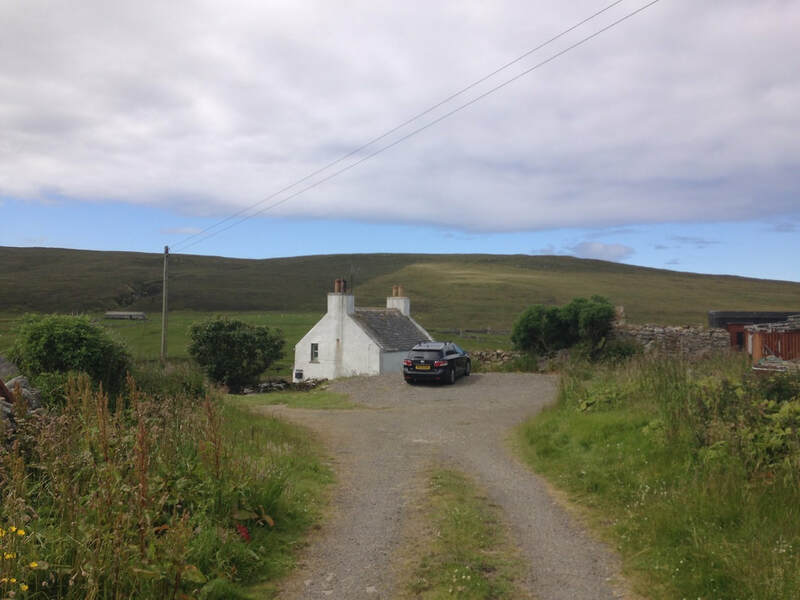 The house is within walking distance of the Unst Boat Haven, the Unst Heritage Centre, Hermaness Nature Reserve and the Viking Longship Project. A traditional croft house in a quiet rural setting. Recently renovated to include all amenities. Ideal location for bird watching and walking. Online booking system available. Springpark Road overlooks the Voe (Bay) of Baltasound and is close to local amenities on the island. It sleeps up to 6 people in 3 double beds plus a childs bed and travel cot. Fully furnished kitchen, sitting room and bathroom. Free wifi and lots more included for a perfect stay on Unst. Enjoy unhindered balcony views overlooking Hermaness National Nature Reserve and a breathtaking vista of Burrafirth beach. Although a stunningly modern interior, it has also been authentically themed with images and art work of Shetland's natural environment to create the perfect atmosphere for guests. Lower Taft boasts 2 double rooms and 1 twin, and can sleep 6 comfortably. Cosy up in this cottage at the south of the island, in a peaceful surrounding with beautiful views. The island's Muness Castle is your neighbour! Former crofter's cottage which sleeps up to six people located in Baliasta. The cottage has two double bedrooms, bathroom, kitchen and sitting room which includes a double sofa bed, as well as traditional wood burner. There are many beautiful walks that can be started from the cottage. The house is also close to the Loch of Cliff, Baltasound Leisure Centre and the local stores. With superb views over Haroldswick Bay, Bordanoost Lodge provides an excellent base for exploring the wonderful island of Unst. The newly renovated accommodation comprises a fully fitted kitchen, a separate sun lounge/breakfast room, a cosy lounge with log burning fire and three twin bedrooms, all en-suite with either a large shower room or a bath with shower. Self Catering is offered all year from £595-£995 per week. Free Wifi. Please note, this is a non smoking house. Saxa Vord has 18 Self Catering Holiday Houses available to visitors. Built in 1989 as a warm and comfortable home-from-home for RAF families, Saxa Vord’s Nordabrake houses remain as warm, bright and comfortable as ever. 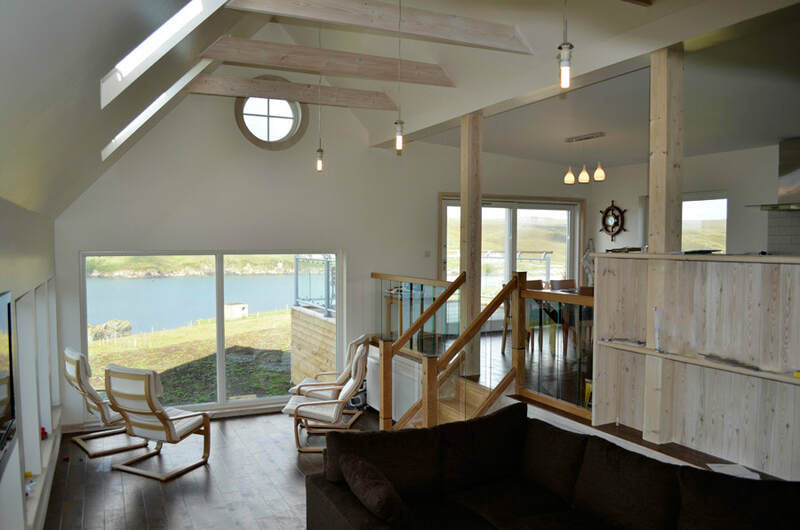 Hannigarth is a traditional lovingly restored, Shetland croft house looking out over Sandwick beach. The house provides an ideal base for walking, observing wildlife and investigating the rich and diverse history of the island of Unst. The property sleeps 6 with one double and two twin bedrooms. The accommodation also includes a living room, kitchen and bathroom. North Booth provides the perfect base to explore this fascinating island. Located on Westing beach and surrounded by its own walled garden overlooking Bluemull Sound, this self catering accommodation options offers up the ideal spot for enjoying wonderful sunsets and watching seals and otters on the beachfront. Warm and well-appointed with an open-plan lounge/kitchen/dining area with fireplace and peats provided. The cottage sleeps 4 people. Da Barn is situated in the Westing, on the west side of Unst, Britain’s most northerly island. Da Barn offers fully equipped, warm and comfortable self contained accommodation within the peaceful surroundings of the Westing, as well as stunning uninterrupted views along the west coast of Unst and across to the island of Yell. Seals and otters can also be seen along the shoreline. Murrister is a traditional croft holiday cottage in Uyeasound at the south end of the beautiful Shetland Island of Unst. Surrounded by fields often with a range of cows, sheep and Shetland ponies, and rabbits, birds and wild flowers in profusion the cottage overlooks the village itself. There are numerous walks for all levels in the area, long sandy beaches, remains of Viking settlements, a ruined castle and fishing lochs. 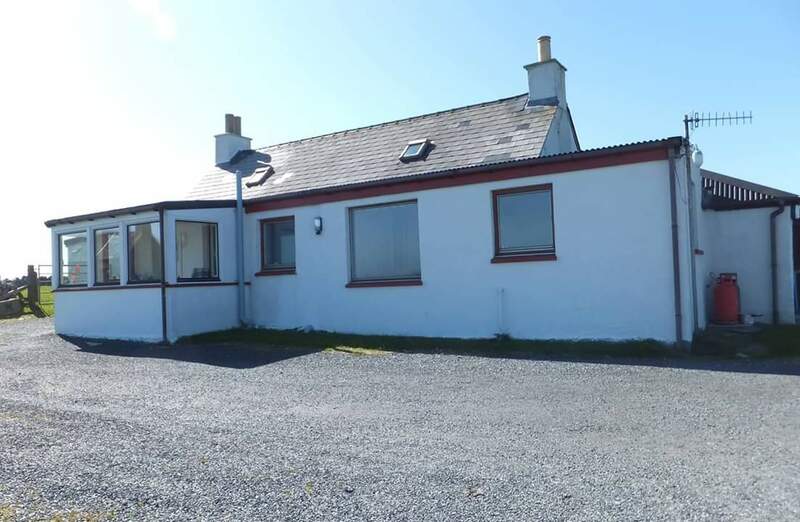 Ordaal Cottage is located in Baltasound with stunning views across the water. The 300 year old cottage is attached to a family home, however is completely self contained with it's own front door. The cottage sleeps up to 4 in two bedrooms. There is also a bathroom, sitting room and a fully equipped kitchen. Wifi is also included in the price.